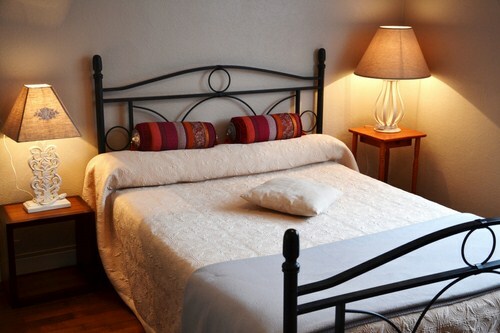 Atmosphere « travel to India » for this 13 m2 double room, located on the ground floor of the house. Very elegant and tastefully decorated, the room welcomes you and reminds you the days of La Compagnie des Indes. 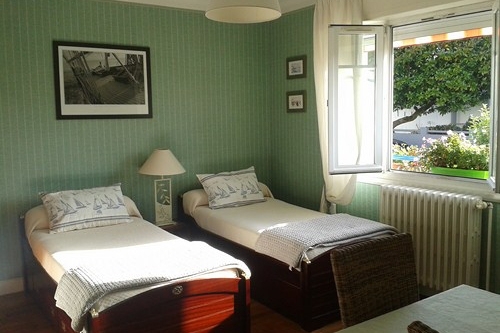 For 3 and 4 persons the double room « Compagnie des Indes » is associated in Suite Room with the twin room « Tabarly ». With a decoration on the theme of the sea, this room suits for two people with individual beds of 90 cm. 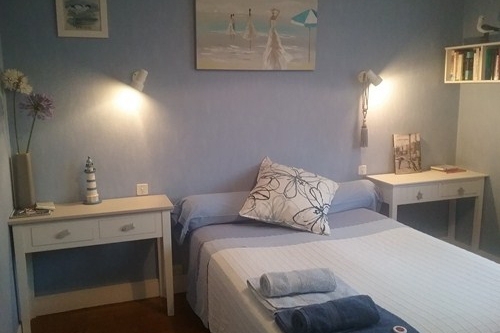 Atmosphere « seaside » for this lovely room 14m2 for one or 2 people. The room Escale is located at the 1st floor of the house, garden side, very nice and very quiet. The decoration in soft shades of white and blue and oak floors creates a warm and calm atmosphere that invites to rest.